I have worked with K’Nex multiple times in the past and was thrilled to have the opportunity to work with them again. 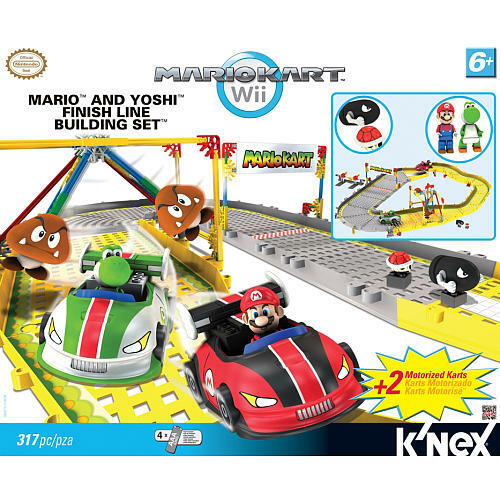 You may have seen my past Wii Mario Kart reviews and this time we were sent one of their Wii Mario and Yoshi Finish Line Building Sets for our use and review. Our son loves it! 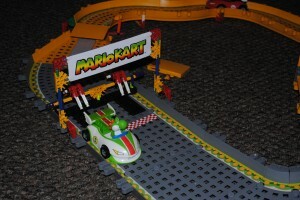 It’s a complete racetrack that comes with 2 battery powered cars featuring Mario and Yoshi! 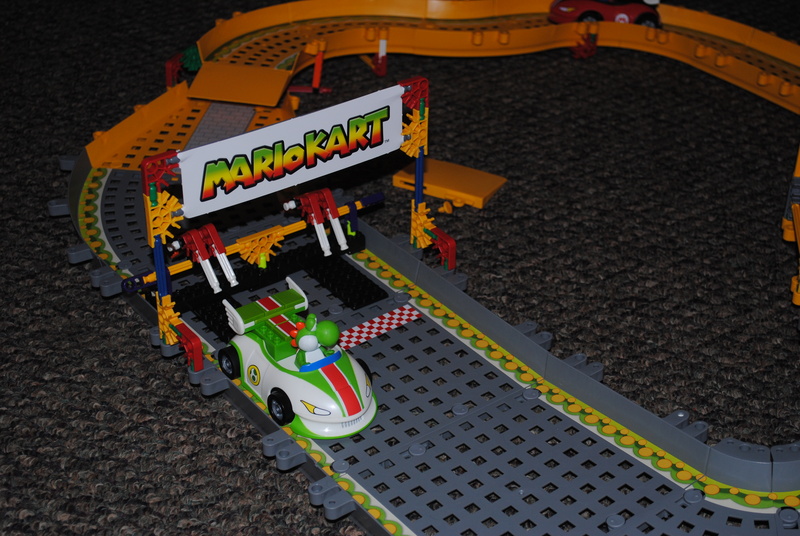 The Mario and Yoshi Finish Line Building Set is 317 pieces of fun. 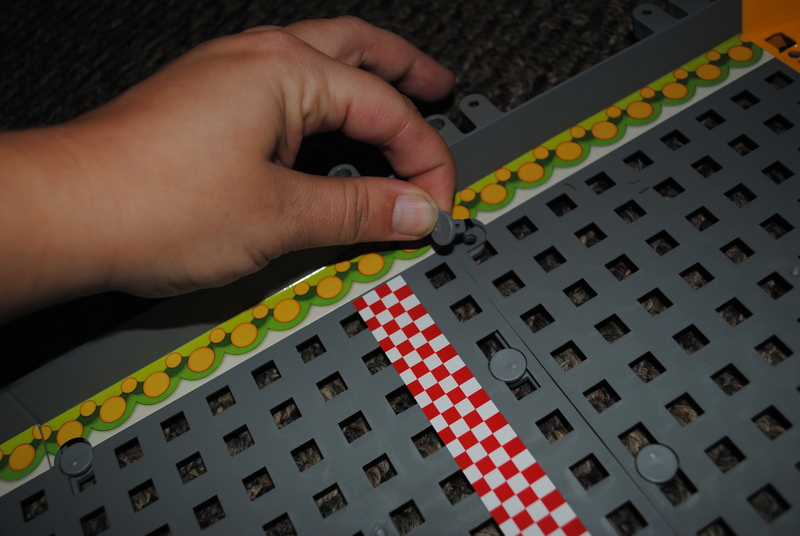 There are a lot of stickers that you will have to apply to the track pieces and cars but nothing too difficult. They were pretty easy to line up and stick to the parts. The first set up took a little longer only because of all the stickers but the track looked great after they were all on! 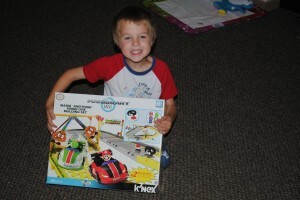 The instructions on building the cars and putting the track together was pretty simple. The main part of the cars were one piece. There is a battery compartment in the bottom part and after you put the batteries in, you simply put the body piece of the car over top of it and slide it in place. There is no worry about the body piece coming off either because it slides and locks in place. The only building part of the cars is snapping on the wheels after sliding the rubber rings on the back wheels, and building the wing of the car. There are also a couple stickers to add to the wing and the sides of the cars. After you are finished building the cars, you can sit Mario and Yoshi in their cars. You will have to take their legs off for them to be able to sit inside them. If my son wants to “walk” them around as figures, all he has to do is snap them back on. I love this because no matter how long the cars were racing around the track, we never had a problem with any of the track sliding apart or anything! There are two places in the track where you build a small structure on the track to raise the area to allow the cars to ramp off. 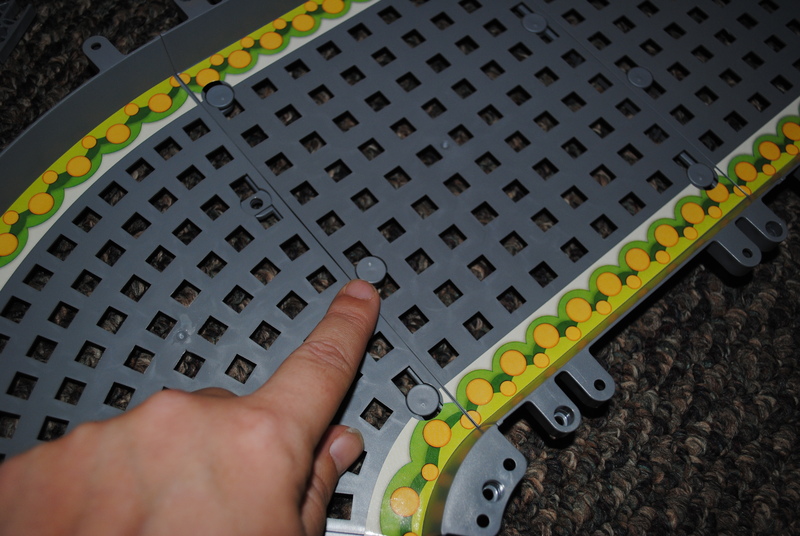 These structure areas aren’t very big and are easy to build using the K’Nex pieces that are included with the set. 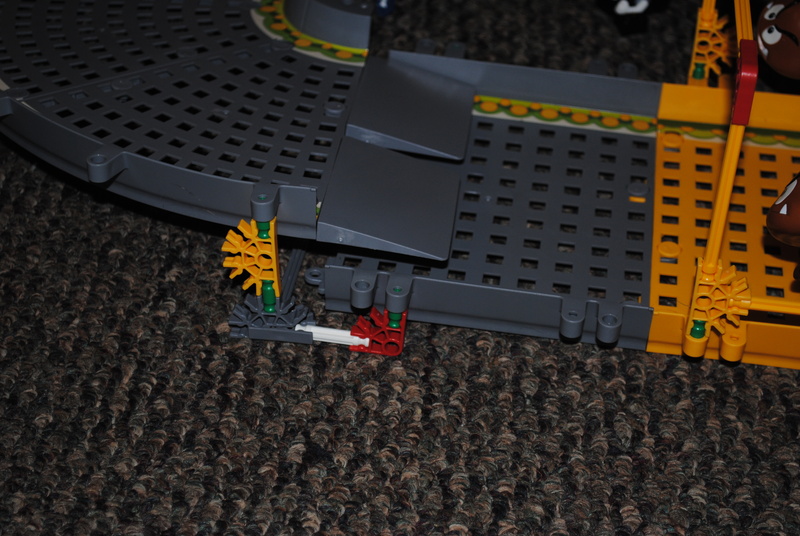 Again, the instructions are pretty easy to follow and the pieces actually attach to the track so it keeps the track together just as it should. We have never had anything come apart off of it. That’s what I love about K’Nex because whatever my kids build with them, they stay together! What I also love about these parts of the track is that when it’s taken apart to put away, we left the structured pieces together on one side of the track so that when my son gets it back out at a later time, he can easily put the track back together himself without having to rebuild everything. There of course are accessories to be built with the K’Nex pieces including a Mario Kart sign and a buildable Goomba obstacle! You can’t have a Mario track without enemy obstacles! 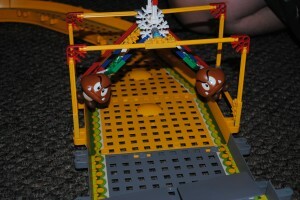 After the Goomba obstacle is built, it snaps right on the track. The Goombas also move back and forth! The age recommendations for this building set is for ages 6 years and older. Our son won’t be 6 years old until February and he built this obstacle himself with little help from me. There were a couple places in the illustrated instructions where he had a little difficulty but he is still a little young for it. 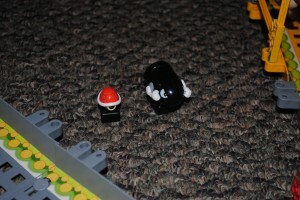 There are also cute accessory pieces such as a Red Turtle Shell and Bullet Bill! The Mario Kart sign is pretty straightforward. There is a durable cardboard sign that has holds at one end to fit over the rods in the buildable sign frame. Once this is build, it also snaps onto the track. The last buildable accessory is the car launcher. It’s really not a launcher though as the car sits on the base of it against it where there are “flippers” that you move to push the car off to take off around the track (make sure they are turned on via the switch on the back of them). 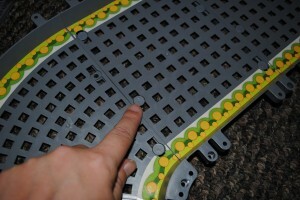 This accessory part doesn’t attach to the track because you are going to want to move it off so that the cars don’t crash into it. My son quickly figured out he had to move them quick because the cars actually go kind of fast! 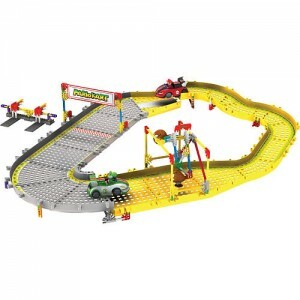 Whats great about the track is that you can also build it in other ways too. Also, instead of having ramps in the track, you can have a complete flat track as well. I love the design of the track too because it has a shallow wall that keeps the cars on the track as they are taking corners. 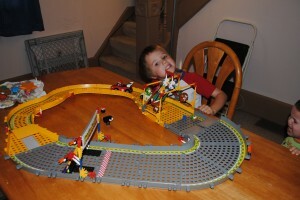 Honsetly, this is the first racetrack that my son has ever had that kept cars on the track! I was really impressed with this. Now, Mario and Yoshi might decide to use their ejection seats sometimes but not very often! 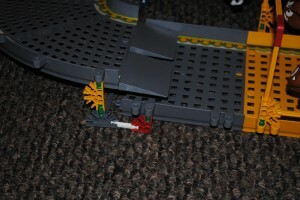 Like I said, the cars go pretty fast as you can see and NOTHING has come apart during play! This is a parent’s dream! I don’t know how many times with other toys we get the “Mom, can you fix this?”. 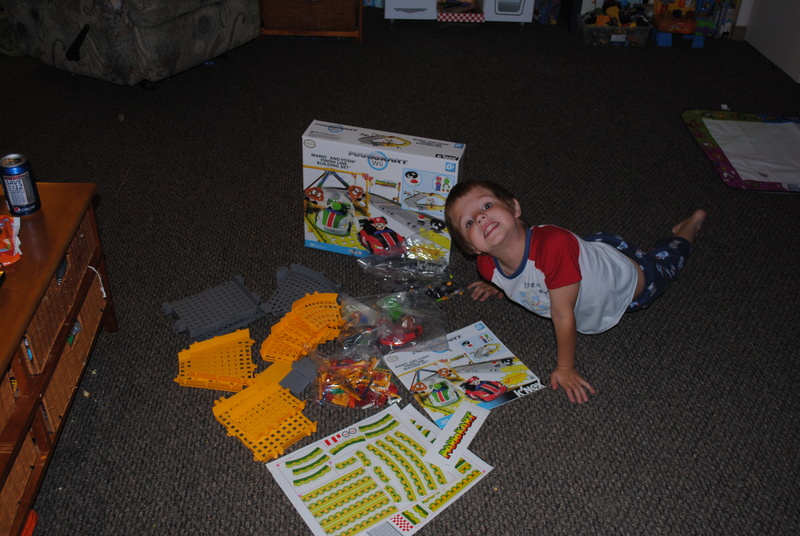 I love this set because my son loves to build things and he loves actually being able to see how things work after he builds them. It’s great for hand-eye coordination and allows him to be creative at the same time. He can change the track if he wants and so forth. 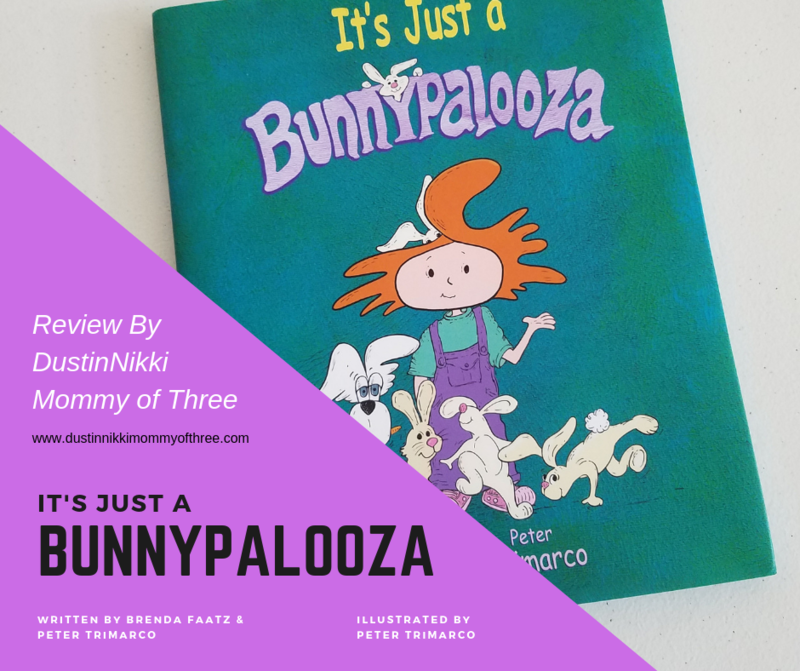 Everything stays together really well and everything was fairly easy for him to build himself even though he’s a little younger on the recommended age. He’s got some more building sets like this on his Christmas list this year because they can all connect for an even bigger racetrack! Who would have thought that the most durable racetrack set he has now is one that he builds and enjoys building?! Another reason why we love K’Nex! Buy It: You can purchase your Mario and Yoshi Finish Line Building Set at Toys R Us (Toys R Us Exclusive) for $49.99 – it’s worth every penny and a lot of fun. It would definitely make a great gift for the holidays! 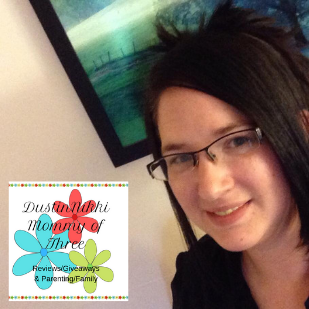 Earth Mama Angel Baby Zero Toxins Soap Giveaway Winner! My son is a big an of Mario. I think Santa is going to give him this toy for Christmas! Thank you for the review. My son is obsessed with Mario, but this is one Mario toy I wouldn’t mind him playing with for hours.